Kansas City, Mo. 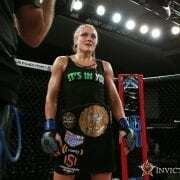 — Invicta Fighting Championships 25 has undergone a last-minute change. Swiss judoka Stephanie Egger (2-1) has withdrawn from her bantamweight match-up with undefeated Californian Yaya Rincón (1-0). Stepping in will be promotional newcomer Courtney King (1-0), and the bout will now be contested at featherweight. King enters the promotion following a second-round TKO victory over Colbey Northcutt in June. 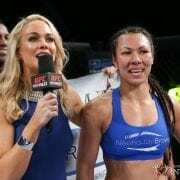 Training at Z’s Training Gym, King fights out of Fort Collins, Colo.
Invicta FC 25 will be headlined by a bantamweight title fight between Hawaiian Raquel Pa’aluhi (6-5) and former title challenger Yana Kunitskaya (9-3, 1 NC) of Russia. The event takes place from the Tachi Palace Hotel and Casino in Lemoore, Calif., on Thursday, Aug. 31. All of the action streams live and exclusively on UFC Fight Pass at 6 p.m. PT. Will this be on Fight Pass? I didn’t see it under upcoming events.